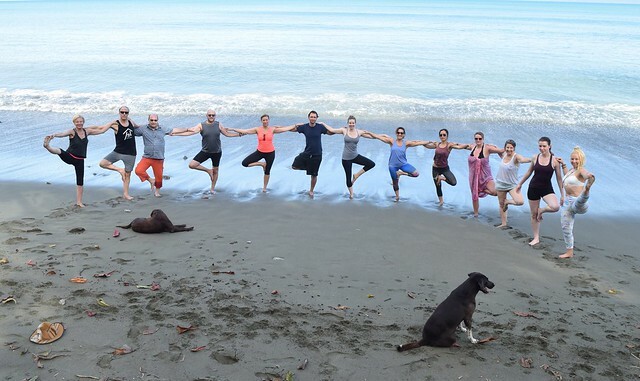 Last month at Blue Osa a group of courageous yogis arrived ready to commit themselves to the one-month immersion program and complete their 200-hour yoga teacher training. Leaving home for a month means leaving behind your daily comforts and routines, your job, partner, family, friends and beloved pets. This decision can be riddled with tricky emotions like fear and guilt, while simultaneously being a time of great anticipation and excitement. I sat down with the current students to talk about the concerns they overcame to get here, and the benefits they are already seeing from taking this time for themselves. What were your biggest fears, and how did you overcome them? One of the biggest fears people had about coming to Costa Rica was traveling alone, especially for the women in the group. For some students this was their first time travelling outside of their home country, so to do so alone was quite daunting. Through the detailed information on the website and communication with Blue Osa beforehand, their concerns regarding the vulnerability of travelling alone and travel arrangements were put at ease. Some students were booked together on the same flight to Blue Osa so when they met at the airport they immediately felt more comfortable and it was the beginning of strong friendships! For a student who spent some time in San Jose before the course Blue Osa recommended a hotel that ensured she was looked after and felt safe. Initially arriving at the airport she felt extremely nervous however a driver was waiting for her and his genuine friendliness and that of everyone she encountered meant she could relax and enjoy her time there. Some students expressed a concern that they would not be advanced enough to do a teacher training program as well as a general worry about the physical demands of the program. However after the first few days it became clear that the program was well paced and that the group were all extremely supportive of one another. One student described a deep seated belief that this was where she needed to be, which led to a determination to be strong for herself and face her fears of coming. What was the hardest thing to leave at home? For most students the hardest thing to leave behind for a month were relationships, with their significant others, family and friends. This raised some feelings of guilt and a worry that they doing something that was perceived as selfish. However during the training it became clear that the students were becoming the best version of themselves, and would be returning home in a place within themselves where they would be the best mother / sister / partner / friend. Others expressed a concern about being away from work for a month, particularly those in a management or leadership position. This was addressed through thorough preparation by the student to ensure their staff were empowered and prepared for the month without them. The availability of internet at Blue Osa was also reassuring as if there was an urgent situation they would be contactable. What benefits have you gained from the immersion? When asked what benefits they were already seeing in themselves one student pointed to the fact that in her everyday life at home all of her time is extremely structured and busy, whereas during the immersion she had time to reflect on the bigger picture of her life. This meant she was able to address a lot of personal issues and gain much needed clarity. With a dawn meditation morning practice and silence until 7.30am each morning the students described how they have been able to really go inwards and spend time with themselves in solitude. Many students said they didn’t realize the importance or substantial effects of meditation, and that this is something they will continue to practice each day when they return home. A lot of students believe the course will have a big impact on their relationship with others when they return home, feeling that as they have a deeper connection to their true selves they will be able to more truly connect with those in their life. They have also made new friendships with each other that will last a lifetime after sharing such an important time of growth and development. One student has realized through her reflections that there are some relationships and friendships in her life that are not serving her, and has decided that she needs to release these people from her life. Why did you choose Blue Osa? 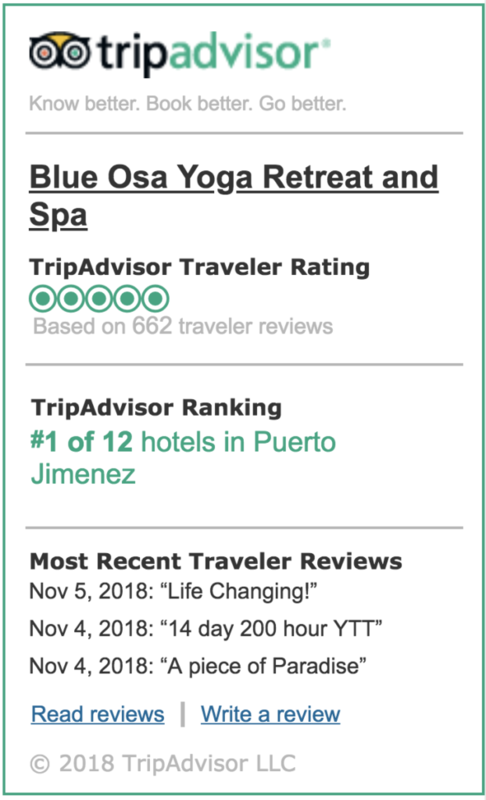 When asked what is was that made them choose Costa Rica and Blue Osa for their yoga teacher training the students simply looked around and smiled! 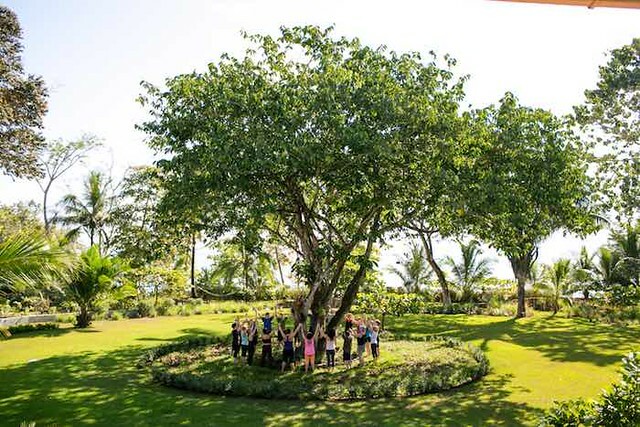 The beachfront property in the rainforest is undeniably beautiful and the perfect place to journey through a teacher training. For many it was the stunning natural beauty of this tropical location combined with the comfort of the accommodation and resort features that appealed to them. 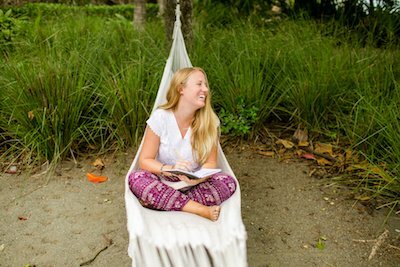 Most students researched other places online but kept feeling a pull to come to Costa Rica. One student explained that she wanted to make an informed decision, really wanting to understand what the course was about and what she would be doing before booking. She found that the comprehensive information about the teacher training and Blue Osa in general on the website helped her to feel comfortable choosing the Blue Osa program. 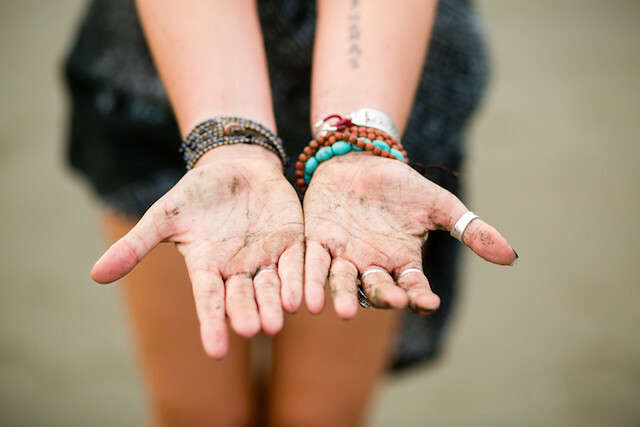 One month immersions are a time of huge personal growth, reflection, self-discovery and the first step on the journey to becoming a yoga teacher. 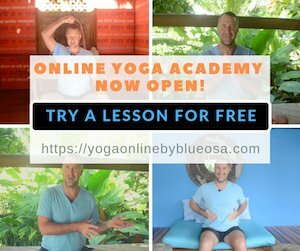 To learn more or sign up for a 200 hour one month immersion at Blue Osa click here! Raised on a farm in Australia Emma went to boarding school in Sydney where she also attended university and then worked as a commercial lawyer. 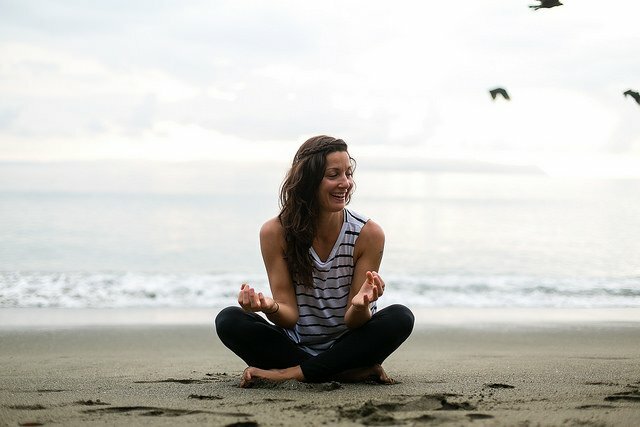 A few years ago, after what she refers to as her “quarter life crisis”, she quit her job and moved overseas to travel the world and hasn’t looked back! 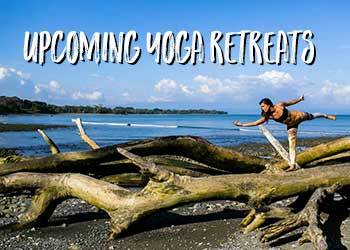 Her love of yoga took her to study in Rishikesh India, and later to Blue Osa as a volunteer. A lover of the great outdoors her other passions include horse riding, scuba diving, hiking and skiing. Keep up with Emma’s global adventures here.